Please enter your desired search word or you may select Job Category from the list. Growing firms need a recruitment outsourcing company with an in-depth knowledge of IT recruiting and the strategies to make it happen. For more than 20 years, our management team and staff of recruitment professionals have successfully used strategies to help build our client's IT manpower needs. Whether you need a programmer to write a simple program, or a senior systems administrator to provide performance tuning, Sysgen can provide you with IT consultants that have skills and expertise on numerous mainframe, mid-range and PC platforms. We can provide competent consultants to fill IT positions in your organization. 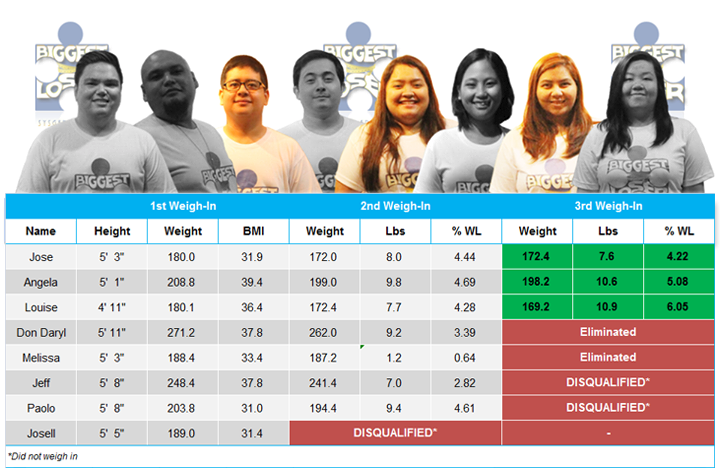 — Aspiras, Princess Jasmine E.
The BIGGEST LOSER SYSGEN Edition seeks to encourage overweight SYSGEN Consultants and Head Office personnel to lead a healthier and more active lifestyle.